Since the formation of The Retrosic, the band has produced an original brand of hard electronics and set a bench mark in April 2001 with their debut album Prophecy, often compared to :wumpscut: and Suicide Commando. 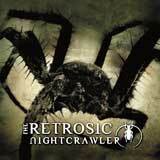 Barely one year later The Retrosic landed its next, even bigger hit with the Mini-Album Messa Da Requiem. It combined hard electronics with the classical soprano voice of Zaide, which intrigued fans and caused the album to rise to the top of European Alternative Charts almost immediately. After holding the top position on the Dutch Alternative Charts for nearly three months, Messa Da Requiem was named "Record of the Year" in Germany. The biggest hit song being "Ground Zero," which received much attention from clubs with its mesmerizing beats and oriental theme. It also demonstrated the impact of September 11th on the underground music scene (as it included samples of President Bush's speech from that day on a later released special version of this song). After the release of Messa Da Requiem, the band was approached to remix tracks for Bruederschaft, Clan of Xymox, [:SITD:] and many others. 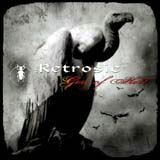 For 2004, The Retrosic released their third album, God of Hell, in North America on Metropolis Records. God of Hell reached the number 1 position on the German alternative charts, "Album of the Month" in several scene-magazines, and was the winner of numerous sound-check awards in Europe. The album was an amalgamation of hard beats, biting vocals and musical elements ranging from Indian flutes and military drums to a boy's choir. The North American version contained a bonus track and a multimedia video for "The Storm," which earned several international awards for its composition and animation. With God Of Hell earning them a place of respect on the dark dance floors of North America, the Retrosic went on the offensive once again for 2006. Their newest album, Nightcrawler is ten tracks of aggressive sonic mayhem. From the moment the perfectly titled opening track Unleash Hell hits you, realization sets in on how destructive the force is that has just been let loose in your world. The album bulldozes its way from start to finish, with each track harder and more forceful than the one before it. Songs like Revolution, Desperate Youth, and The Lucky Ones will obliterate any dance floor with the power of 10,000 nuclear warheads. No-one is safe. Theres no where to hide. Nightcrawler is coming for you!